While many of my co-workers are admitted Zara addicts, I can count on a hand or two the number of items I own from the fast-fashion house. But with the brand's summer sale in full swing, I decided to scroll my way through the site for anything special that caught my eye. That's when I stumbled upon this sweet gingham top. From the smocking across the waist to the feminine ties at the shoulder to the on-trend summery print, this had all the makings of a low-key seasonal piece. Since ordering and taking this top home with me, it's quickly risen in the ranks of my go-to styles. But it seems that I'm not the only fan, I've been stopped a few times by curious fashion fans eager to pick the top up for themselves too. Read on to shop the top (which is currently on sale for a crazy affordable $13) along with similar styles from Zara now. This flattering top is ideal for summer. Style with a long-sleeve top underneath to pull it off at the office. 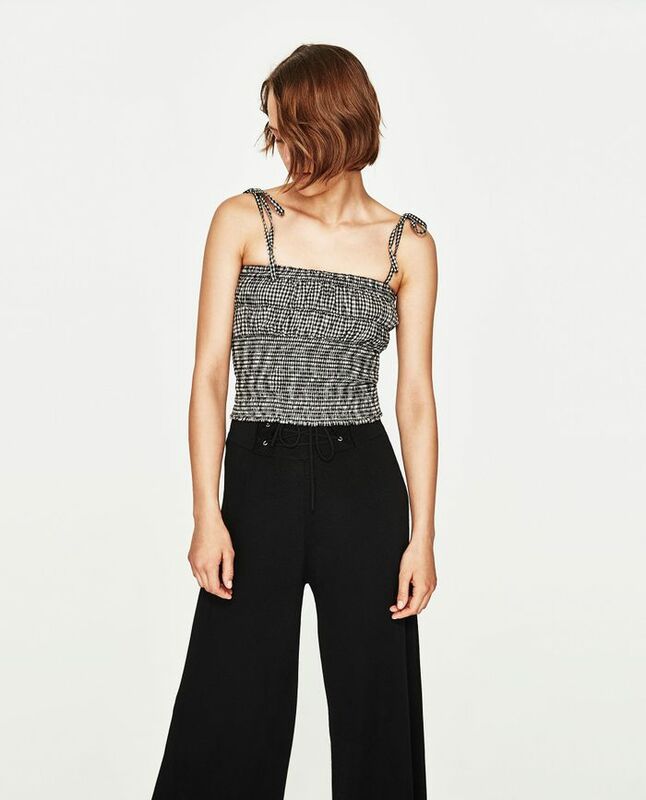 What's your best Zara find? Let us know in the comments!